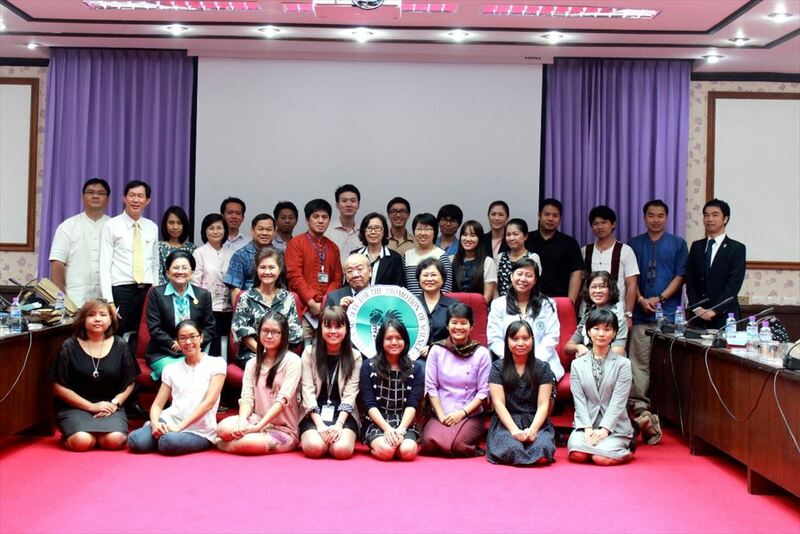 On May 30 2014, JSPS Bangkok Office held JSPS Guidance Seminar at Chiang Mai University, Thailand. Chiang Mai University, marking its 50th anniversary this year, is highly appreciated in its academic performance with ranked 92th in QS University Rankings: Asia 2014. Last July, when JSPS guidance seminar was hosted by Chiang Mai University, JSPS Bangkok Office made a courtesy visit to Assoc. Prof. Dr. Avorn Opatratanakit, Assistant to the President for Research and Academic Service Affairs, she agreed to hold annual JSPS guidance seminar in Chiang Mai University regularly. 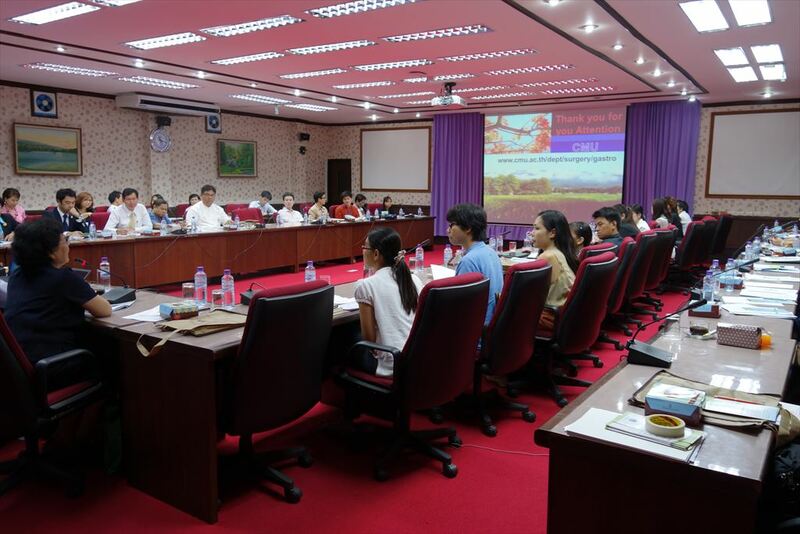 Under the great support of Chiang Mai University, approximately 50 young and mid-career researchers participated in the seminar. Before opening the seminar, JSPS publicity animation video, “JSPS Supports Science” was shown to introduce JSPS’s mission. Starting from Prof. Dr. Avorn’s opening remark, JSPS gave an overview of its organization and provided information on the international programs. 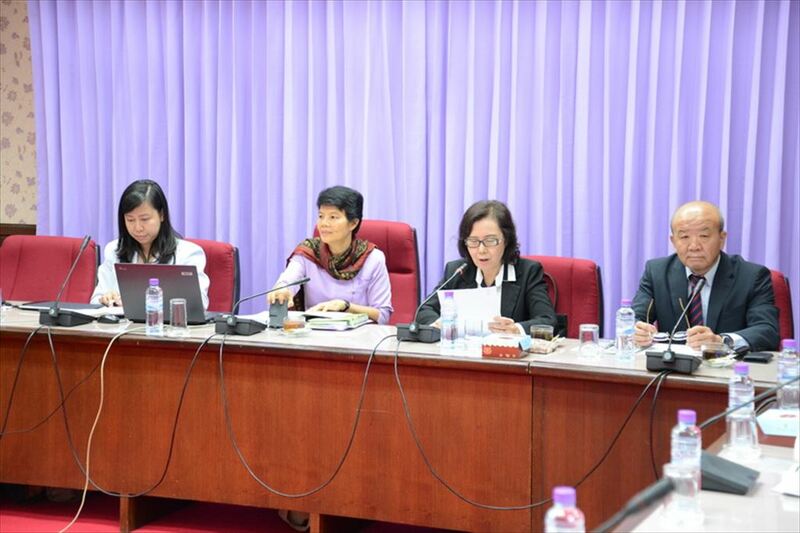 Moreover, Ms. Pimpun Pongpidjayamaad, Director of Office of International Affairs, The National Research Council of Thailand (NRCT) introduced the long history of collaboration with JSPS and showed the number of researchers supported under RONPAKU program. Ms. Pimpun, Director of Office of International Affairs, NRCT explained international programs. Two former JSPS RONPAKU fellows of Chiang Mai University were also invited as guest speakers. Assoc. Prof. Dr. Sirikan Yamada, Faculty of Medicine, who obtained doctoral degree from Kobe University explained how she applied the program and conducted research as a RONPAKU fellow. In addition, Prof. Dr. Saisamorn Lumyong, Faculty of Science, who obtained doctoral degree from Hokkaido University talked about her research experiences in Japan. In the last program, Prof. Dr. Sunee Mallikamarl, president of JSPS Alumni Association of Thailand, JAAT and a member of JAAT executive committee, Dr. Jiraporn Shauvalit also joined the seminar and introduced JAAT activities in order to expand JSPS Alumni network in Northern Thailand. During Q&A session, young researchers asked mainly about fellowship programs and mid-career researchers about bilateral program and core-to-core program. JSPS and NRCT explained detailed application process and Assoc. 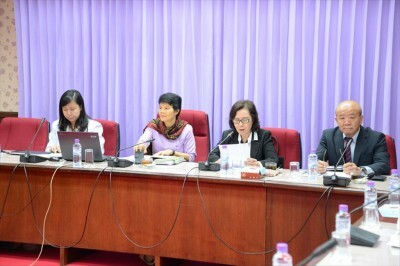 Prof. Dr. Sirikan and Prof. Dr. Saisamorn advised them how to write application forms. After JSPS guidance seminar, JAAT committee members held a regional alumni meeting together with JSPS Bangkok Office and invited Assoc. Prof. Dr. Sirikan and Prof. Dr. Saisamorn. President of JAAT asked the two former RONPAKU fellows to join JAAT and become a core of JSPS alumni in Northern Thailand. In addition, Assoc. Prof. Dr. Sirikan was invited to the JAAT Executive Committee on July 2 2014, as a representative of alumni members of Northern Thailand. Thanks to the participation of NRCT, JSPS former RONPAKU fellows and JAAT committee members, the seminar covered broad range of information including life in Japan and career path after the fellow. Furthermore, with the entry of two new alumni members from Chiang Mai University, JAAT is expected to expand and strengthen their network in Thailand.